Theologian Dr Jim McClure cuts through the jargon so beloved by theologians enabling readers to rediscover the profound significance of the unavoidability of grace in salvation and in living the Christian life. Grace Revisited takes us on a journey back to ancient Greece to unearth the origins of the word and concept of the Greek word charis. With scholarly precision, this easy-to-read book shows that the commonly accepted definition of grace as ‘The unmerited favour of God’ falls short when applied to the New Testament. Well researched book by an insightful author, Grace Revisited reveals grace as having a strong active meaning, not something that is passively received but rather as something that has a dynamic effect on those who receive it. Jim McClure shows that grace is like a many faceted diamond out of which shines a greater understanding of the great God we worship. Normally $35 but obtainable from the author for $25 (plus postage). Link: jbmcclure@hotmail.com. See Ask Dr Jim for another of his timely articles. Charlie and Emma are excited. A day spent in the country with their Nana turns into an opportunity to learn about the joy of giving when they make chocolate chip cookies to hand out to veterans at a local center. What does Charlie do when he runs out of the homemade treats before the last veteran gets one? Join Charlie and Emma as they learn about Nana’s 3 Jars and why the ‘giving’ jar is extra special. 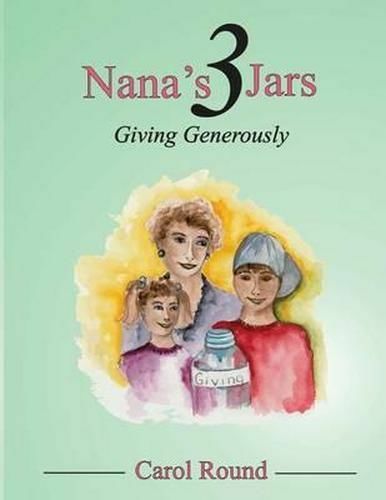 Nana’s 3 Jars: Giving Generously is the first in a series of three books for children to teach them about the value of money and its purpose. See Inspirational. In this recommended book, the author states, ‘Leadership has little to do with a title or position and everything to do with influence. The Leadership Mandate reveals that you (yes, even you) are a leader because to some degree you have influence with those around you. Since you’re a leader, I call you to start taking your influence seriously by developing the leader within you.’ Link: http://www.amazon.com/Leadership-Mandate-Dan-Black-ebook/dp/B00FE81ASO. See also Leadership. Ken Legg says, ‘Whatever is happening in your life at the present time is a result of that which is in your heart. We cannot live above the level of our heart’ adding, ‘Medical science confirms that health and healing also begin on the inside. It is reckoned that at least 60%-70% of sicknesses may be classified as psychosomatic, ie the health of the body is determined by the state of the mind. And yet our approach to health is usually from the outside, ie by means of diet, exercise and prescription medicine. While these things are important they will be of no ultimate value if the root problem within is not addressed. What’s Eating You? was written to help people find health and wholeness from the inside out. The author says that he is surprised that while there is so much helpful information available on how to maintain good physical health through eating properly there is little emphasis on how to resolve inner-conflict. 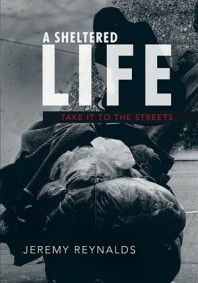 Written from a biblical perspective and mainly for Christians, this book also has appeal to a much wider audience. ‘Everyone has to deal with negative emotions such as anxiety, depression, anger, unresolved guilt, resentment and bitterness,’ says Ken Legg. ‘Also, many do not know how to bring closure to grief caused by abuse in the past, or how to deal with toxic relationships in the present.’ These are some of the issues probed in the book. ASSIST’s founder and director tells the story of Jesus’ mother through her own eyes and from her point of view, giving insight into her life with her beloved son from birth to death and resurrection. Comprised of 365 verses from scripture and more than 70,000 words, the book is a faithful adaptation of the story of Jesus’ life told from the perspective of Mary. Imagine you are a young and poor girl in love, living in Nazareth, looking forward to marriage, when suddenly your life is changed forever when you are told that you are to become the mother of the greatest person in history, the Messiah – Jesus Christ, and yet you are a virgin. 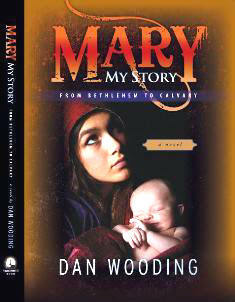 This novel by veteran author, broadcaster, and journalist, Dan Wooding, tells the amazing story of Mary, and gives real insights into her life with her beloved son, from his childhood, his growing years, his ministry, his terrible death upon the cross, which she witnessed, his resurrection, and finally, his ascension to sit at the right hand of his father in heaven. It is an epic story, based on the Bible, about an extraordinary mother who was described by God as ‘highly favoured’ among women. He adds, ‘The story traces their time in Egypt, the death of Herod, and the ministry of Jesus right up to her terrible death on the cross and then his resurrection.’ Link:marythebook.com. 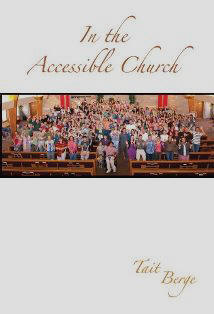 In the Accessible Church encourages church leaders who believe the Lord loves people with disabilities, but might not be aware people with disabilities have so much to offer.